Need more convincing that Astralis is the best team in CS:GO esports? The Danish team not only won the ESL Pro League Season 8 Finals, but they're also the first team to complete the Intel Grand Slam and walk away with an extra $1 million. It's been a long Counter-Strike: Global Offensive esports season, but the 2018 campaign has wrapped up in the most memorable way possible. Astralis has not only won the ESL Pro League Season 8 Finals with a dominant win over Team Liquid, but they also completed the Intel Grand Slam and are now an additional $1 million richer. And they did it all on their home turf in Odense, Denmark. Astralis had little trouble with this weekend's tournament. They cruised through their group stage, which included an upper bracket win over Team Liquid earlier in the weekend. While Team Liquid defeated Natus Vincere and MIBR in convincing fashion to make it into the Grand Finals, there was no beating the Danish CS:GO squad in their home country. Astralis won an easy 2-0 semifinal over mousesports before settling in and beating Team Liquid for the second time this weekend. This time, they won 3-1, culminating with a 16-10 final set on Dust2. Astralis is the first CS:GO team to complete the Intel Grand Slam. This series began in mid-2017, with the idea to award a $1 million prize to the CS:GO team that could win four Intel Grand Slam tournament majors out of the ten most recent ESL/DreamHack events. FaZe Clan was the last team to have a shot at reaching this milestone, but fell short at DreamHack Masters Stockholm in September and saw their win total reset. 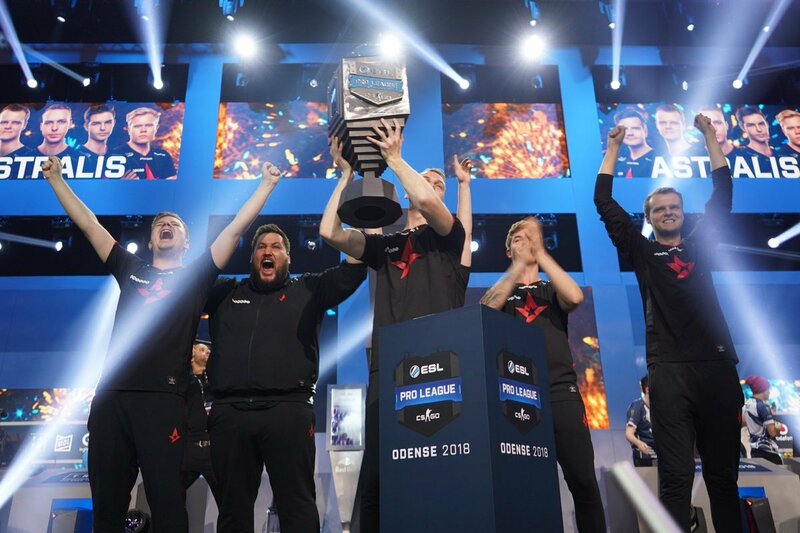 Meanwhile, Astralis completes the Intel Grand Slam with victories at April's DramHack Masters Marseille, May's ESL Pro League Season 7 Finals, November's Intel Extreme Masters XIII Chicago, and this weekend's ESL Pro League Season 8 Finals. In addition to the $1 million bonus, Astralis will take home $250,000 for their first place victory, while runner-up Team Liquid walks away with $110,000. Details on the next Intel Grand Slam are expected to be revealed soon.